I have an 11wk old female puppy. She is ready for a home to love, play and protect. She comes from a strong champion bloodline and takes on the masculine look. She is all up to date on her shots. She is great with children and has been raised with other dogs and horses. 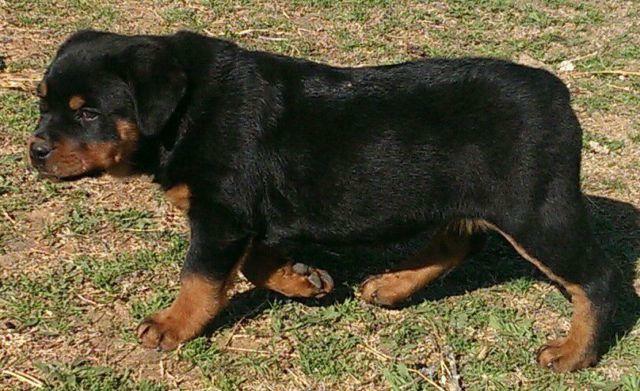 GORGEOUS Rottweiler pups with the pedigree to back it up!! !